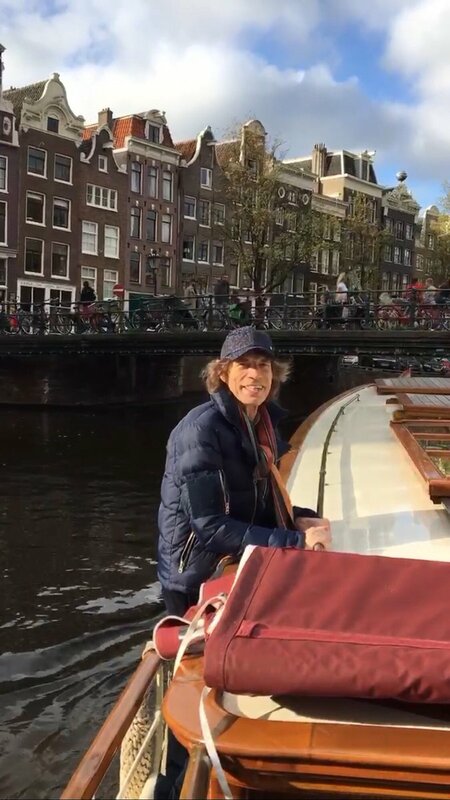 Mick: "Exploring Amsterdam the best way!" Cool. My parents (79 and 76) live in downtown Arnhem. I’m sure they’ll go out and enjoy the atmosphere and activities this weekend. I like the Jane Rose box. Is there more than one entrance for Premium Standing? Where is they stage built up, Noord or Zuid? Thanks, Bjornulf, Niek, and Waterrats for the pics! Mick, instead of a walk, takes a canal ride...nice. Where was the location of the place in the Netherlands where Charlie punched Mick and nearly knocked him through the window into the canal according to Keith?